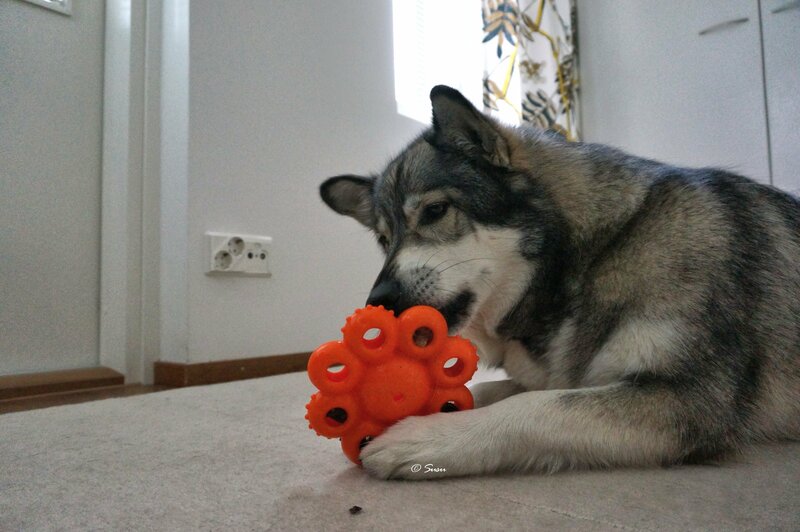 Kong Quest Star Pod is a durable toy and it’s a good toy if you can find right size treats for it. 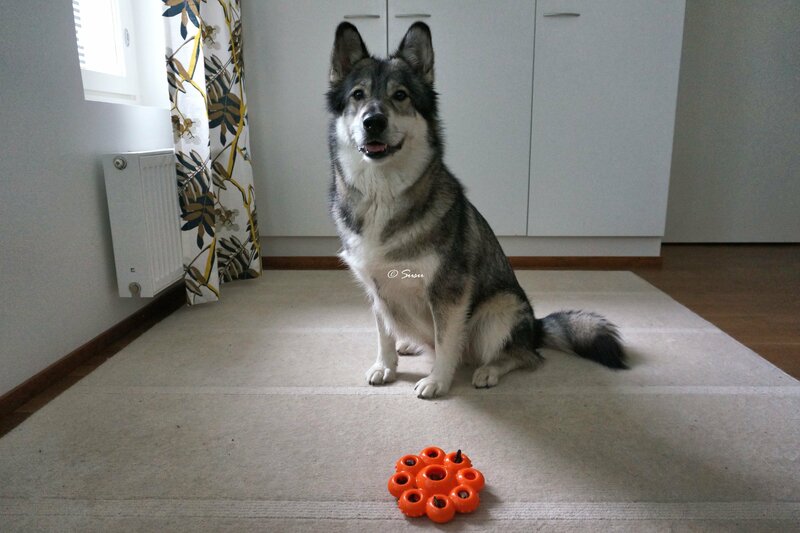 Kong manufactures this toy in many sizes and this is size L. I usually put these Nutrivet Instinct Dog Treats into the holes. 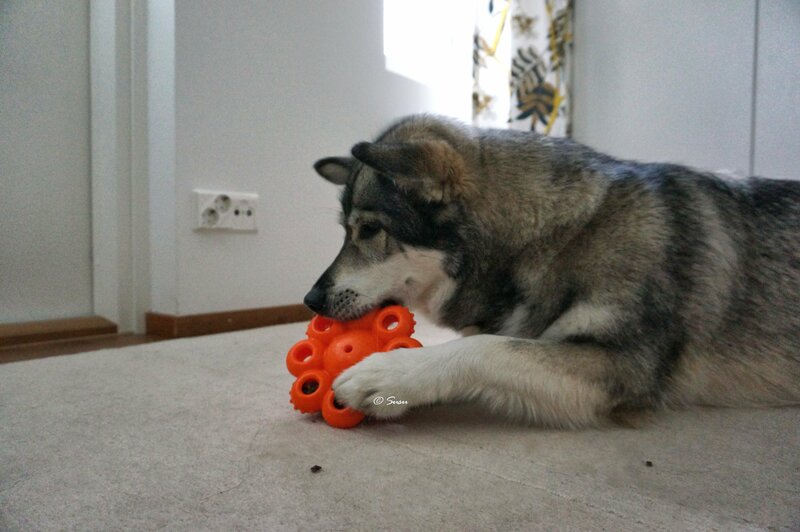 These are just the right size treats to be crammed into the holes around the toy. I just turn them sideways so that they won’t fall out. Sometimes I put pieces of dried chicken fillet instead in those holes. The fillets are convenient because you can cut them to any shape and size. It takes Miki about 2 to 5 minutes to get all the treats out, but with chicken fillets it may take a couple of minutes longer. 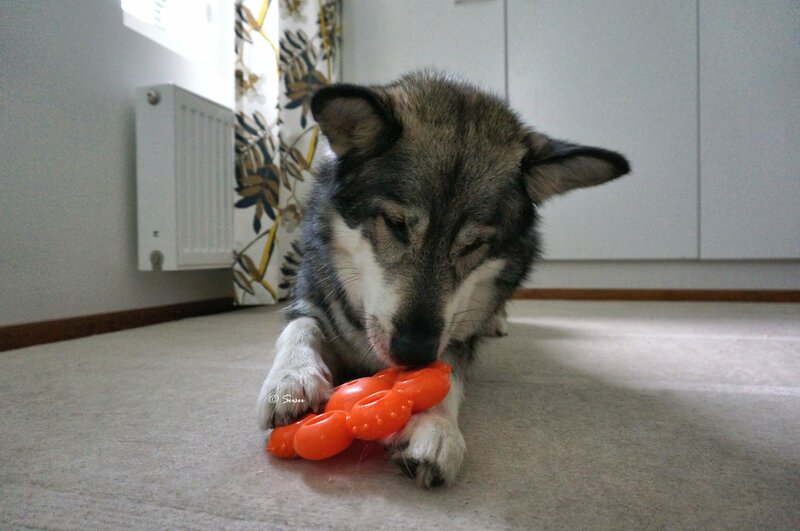 Although the toy scores in durability, it’s sometimes hard to find the right size treats for it.